I began my time as Editor-in-Chief with a few goals in mind. The most important one was making an impact. 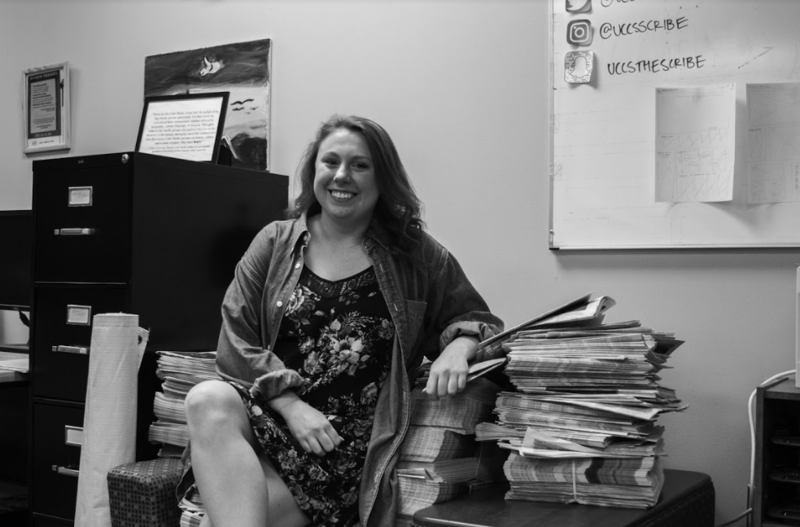 Over the last three years, I have worked at The Scribe as a reporter, the culture editor, the managing editor and editor-in-chief. Every semester I have been at UCCS, I have also worked at The Scribe. Nothing else has been more impactful on my career trajectory or my development as a leader than working at this organization. I will leave The Scribe with the hope that I have also made an impact on UCCS, my staff and our readers. My first article was published on Nov. 2, 2015, and my last will be published on May 8, 2018. I came to this campus as an eager pre-med student, wanting to make a positive impact on people’s lives. I came to The Scribe to continue my love of writing, which I would not get to do as a biology major. And after working here my first year, I realized that journalism and advocating for a community was what I was really meant to do. That’s what The Scribe has done for me – created an intangible impact that I will always treasure. For those who work in student media, we know that at times, there is little impact as far as what we do with reaching a broad audience. It can feel like no one is paying attention. 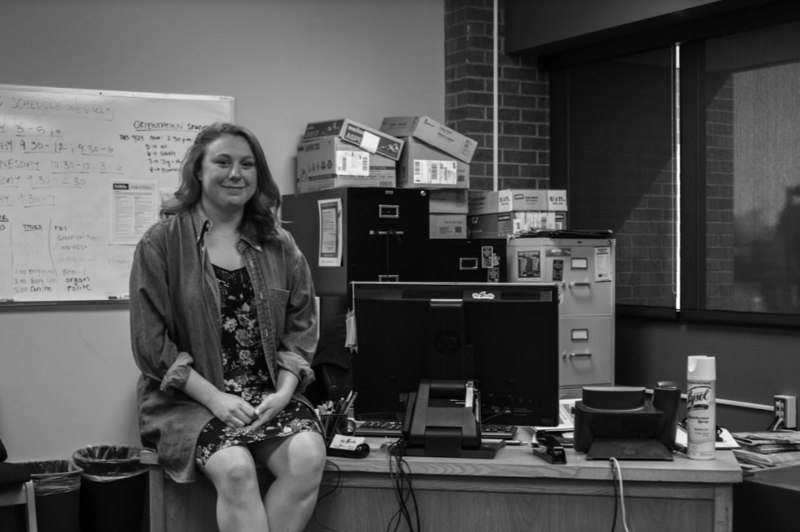 For the 2017-18 school year, we had the current budget of being able to print only 600 copies a week; on a campus of over 12,400, this can seem like it doesn’t make a dent, even though it actually does. But this never swayed me. I always wanted to find more ways to better market our newspaper, better our design, better our outreach and better our coverage, and it was that drive that kept me here. However, impact was always at the back of my mind. Every student I saw reading a copy of our paper in the storied buildings across campus and the ability to be able to interact with so many people on campus made my experience valuable. Ultimately, however, it was mobilizing a staff of dedicated journalists that made my time worthwhile. And we did some amazing things during my time at The Scribe. We covered inspirational people like Benet Omalu, Diane Guerrero and William Shatner. We remembered heroes like Garett Swasey and bright students like Zachary Schlagel. We discussed the impacts of rising minimum wage, student debt legislation and national laws that would impact you. We hosted a couple political debates. We gave underrepresented students a voice. We passed a media fee. We joined a nationwide effort to #SaveStudentNewsrooms. Covering these events, issues and people was so important. And The Scribe is the only newspaper that will do it in the comprehensive way we do. I’m proud of the coverage we provided for you this year. But most importantly, we gave each other the opportunity to learn media literacy, journalism, ethics and how to be good collaborators. We gave each other the opportunity to understand our readers’ needs and how to adapt to them. This year, I liked to say that every good story starts with you. This is truly at the heart of what The Scribe is in the 29 issues printed out in a school year, it is also at the heart of what I had the privilege of doing here every week. We grew this year, and while circulation statistics and digital engagement matters, what impacted me the most was seeing the progression of what my staff does on a daily basis. A team of 30 journalists came in at the beginning of the year with no experience, and now, they keep students informed every week. I like to think my impact was covering what students cared about, but most importantly, what I taught my staff. 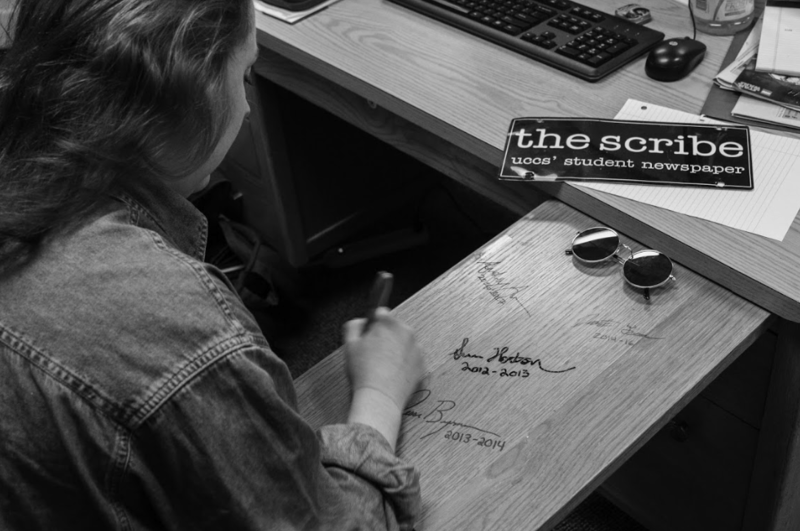 The Scribe is composed of capable, talented and driven journalists who work their hardest to produce this paper each and every week. I hope that my staff and you, our readers, look at this organization and realize the ability to make change. I hope that you realize the importance of learning here. Because we’re all students, and the whole purpose of participating in an organization on campus to to continually learn so we can make an impact. Thank you to every professor, every student and every faculty member I have worked with through my last three years at The Scribe. I have learned so much from all of you, and I am a better person through it. Thank you to my staff for the honor and the privilege to lead you this year. I have genuinely enjoyed the opportunity to teach you, to guide you and to see you grow as amazing, talented journalists. And thank you to our readers. For reading this paper online and in print every week. For reaching out with ideas. And, most importantly, allowing me to impact you by telling your stories. I hope that The Scribe’s impact grows far and wide on this campus in the coming years.